LINCOLN, Neb. – On March 21, President Donald Trump signed a disaster declaration for Nebraska. 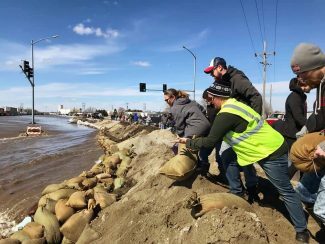 Nine counties were approved to receive individual assistance including: Butler, Cass, Colfax, Dodge, Douglas, Nemaha, Sarpy, Saunders and Washington. In addition, 65 counties and five tribal nations were approved for public assistance. Counties that were not initially approved could still be declared. Rock, Saline, Sarpy, Saunders, Scotts Bluff, Seward, Sherman, Stanton, Thayer, Thurston, Valley, Washington, Wayne, Wheeler, and York and the Santee Sioux Nation, Ponca Tribe of Nebraska, Omaha Tribe of Nebraska, Sac and Fox, and Winnebago Tribe. Furthermore, Federal funding is available on a cost-sharing basis for hazard mitigation measures statewide. Information on filing claims with FEMA can be found on the FEMA website at https://www.fema.gov/disaster/4420. The response to the historic weather events Nebraskans face has been overwhelming. Information, both accurate and inaccurate, is coming from every direction. 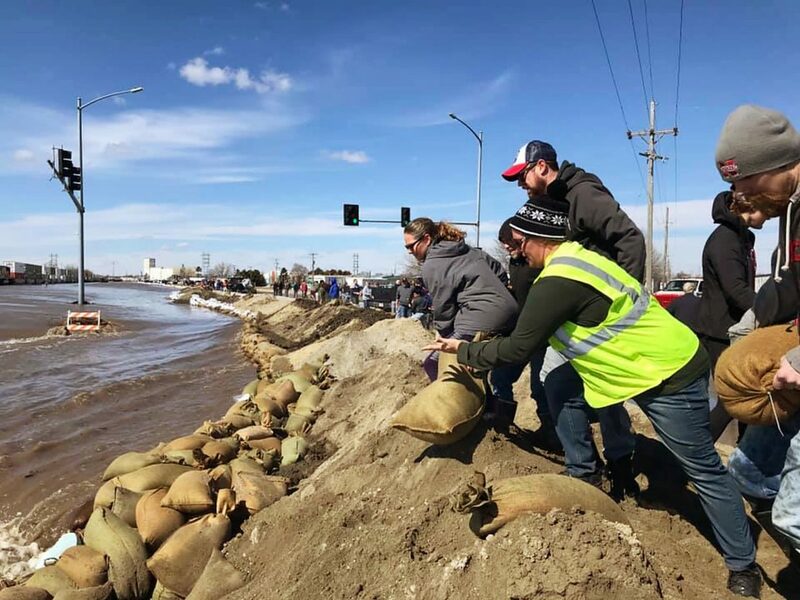 In an effort to streamline some of that information, staff at the Nebraska Emergency Management Agency's Joint Information Center are continuously collecting information and posting links on social media and the NEMA website. http://www.nebraska.gov/nebraska-strong: Help in connecting those in need with people offering resources. This is a partnership with NEMA and the Nebraska Preparedness Partnership. Governor Ricketts has proclaimed Friday "#NebraskaStrong Day." http://www.ndbf.nebraska.gov: The Nebraska Department of Banking and Finance has information on avoiding investment scams, which increase during disasters. NDBF also has a consumer hotline, (877) 471-3445 or (402) 471-3445.
https://protectthegoodlife.nebraska.gov/report-scam: The Nebraska Attorney General's office has a website for reporting scams. If you receive an unsolicited call for donations, use caution. Know to whom you are donating. Never give personal information including credit card information to an unsolicited caller. (800) 831-0550: The Nebraska Department of Agriculture has established a hotline for agriculture-related donations such as hay and equipment. 211: The Heartland United Way 211 is a good source for resource information including shelter needs, cleanup, food, clothing, etc. If you encounter difficulty reaching them by dialing 211, please call (866) 813-1731. (402) 817-1551: NEMA Joint Information Center has established a hotline currently staffed 24-hours-a-day to help people connect with needed resources. When possible, the call center is staffed with Spanish-speaking operators. (800) 464-0258: The Nebraska Department of Agriculture has set up a hotline for farmers and producers who are feeling emotionally overwhelmed. Cindy Lincicome, in an email, said that the team "demonstrated the essence of SAME supporting our communities."